Guts and Bolts – It’s fun, it’s educational! 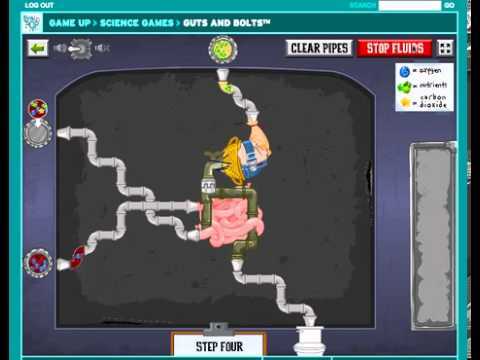 I just found this great game, Guts and Bolts, while I was surfing around on the internet last weekend! It’s a creation of BrainPOP, which features all kinds of cool educational games and tools. The game is kind of a Dr. Frankenstein meets Joe the Plumber as you are introduced to different body parts and organs and learn how they are connected and work together. As you level up, there are game quizzes that test your knowledge of what you’ve learned. I took these thinking they would be a piece of cake, but they were surprisingly challenging. If you or your kids are interested in learning more about how our bodies work—and I am constantly shocked at how little people do know about their bodies—I think you’ll enjoy Guts and Bolts. Here’s a YouTube that gives a demo of how the game works. And here are some great picture books for kids to teach them about their bodies!